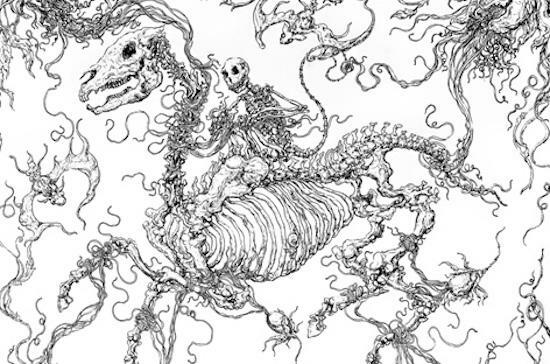 In Death's Dream Kingdom is a new compilation from fabric's in-house label Houndstooth, featuring contributions from 25 different acts including Pan Daijing, Pye Corner Audio, Lanark Artefax, Gazelle Twin and more. The label gave a number of artists a simple brief: to take the phrase "in Death's dream kingdom", or the whole of TS Eliot's poem The Hollow Men, from which the line is derived, as inspiration for a piece of music. Also featured on the compilation are Batu, Roly Porter, Oliver Ho (as Zov Zov), Ian William Craig, Shapednoise and many more. The 25 tracks on the compilation will be made available to stream one-by-one each day leading up to the full record's release on January 26. Check out the Spotify playlist just above for the first three tracks to be revealed from the record.